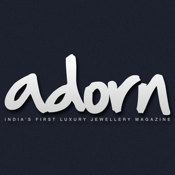 Adorn is a bi-monthly magazine dedicated to luxury jewellery. It is published and circulated in India by Spenta Multimedia. 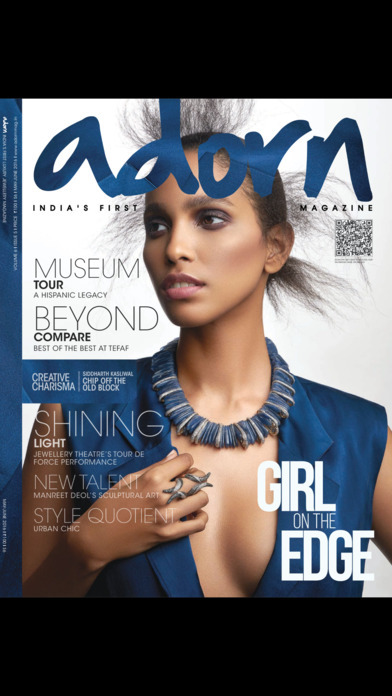 Adorn is two years old, and is a high-quality offering, produced in a larger-than-normal format on imported art paper, rich with visuals and full of exciting content. 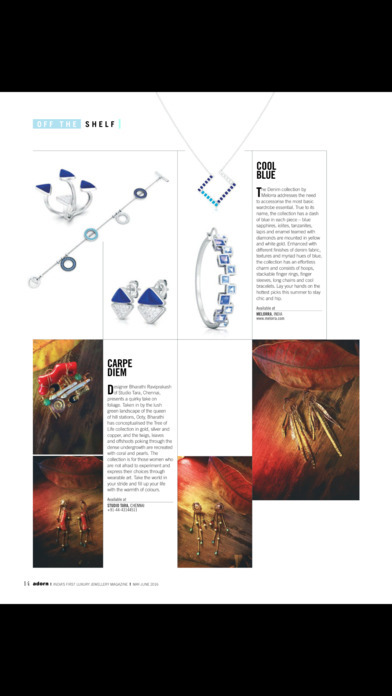 Adorn features the latest offerings from national and international jewellery houses. 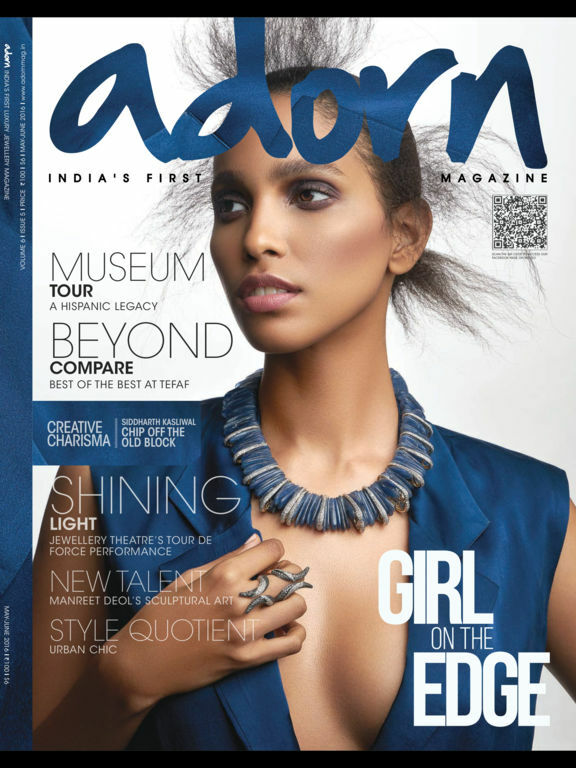 Every issue has a cover feature and themed photo spreads with top models such as Lisa Haydon, Vipasha Agarwal, Netra Raghuraman, and Bollywood stars like Sonam Kapoor, Neha Dhupia, Aditi Rao Hydari and Shraddha Kapoor. 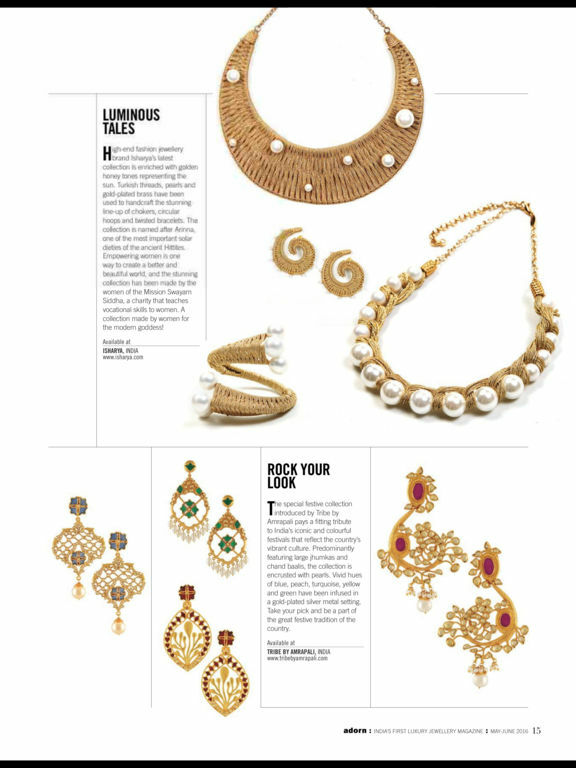 Besides, it also covers red carpet events and what the who’s who is wearing in jewellery today. 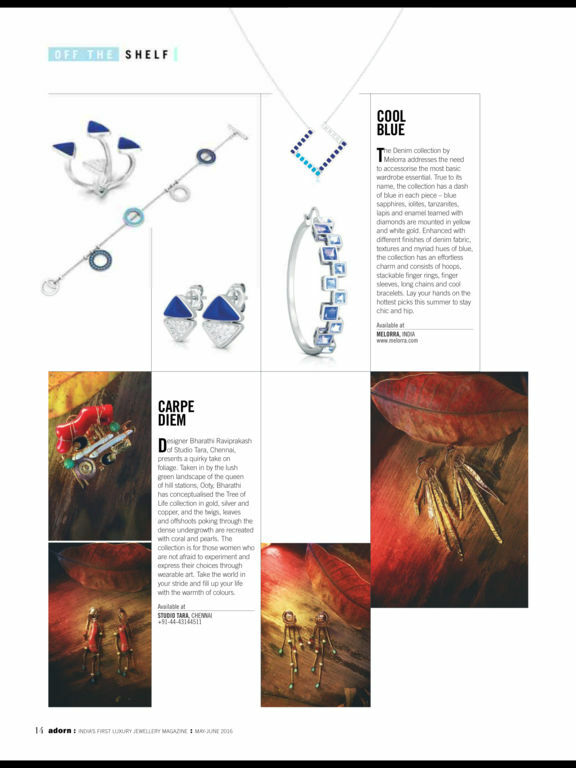 The magazine also looks to educate readers about the craft of jewellery-making and features articles on subjects like diamond settings, gemstone cuts, and enamelling techniques written by experts and renowned jewellery historians. The magazine, which has a print run of 20,000 copies, is on sale at newsstands across India and is distributed free to a database of high-net worth individuals.